Confession: when I was growing up, I was wary of Egg Foo Yung. I wasn’t 100% certain what it was, and, frankly, when I looked at it, it seemed like something I wouldn’t like. Ah, the mistakes of youth! 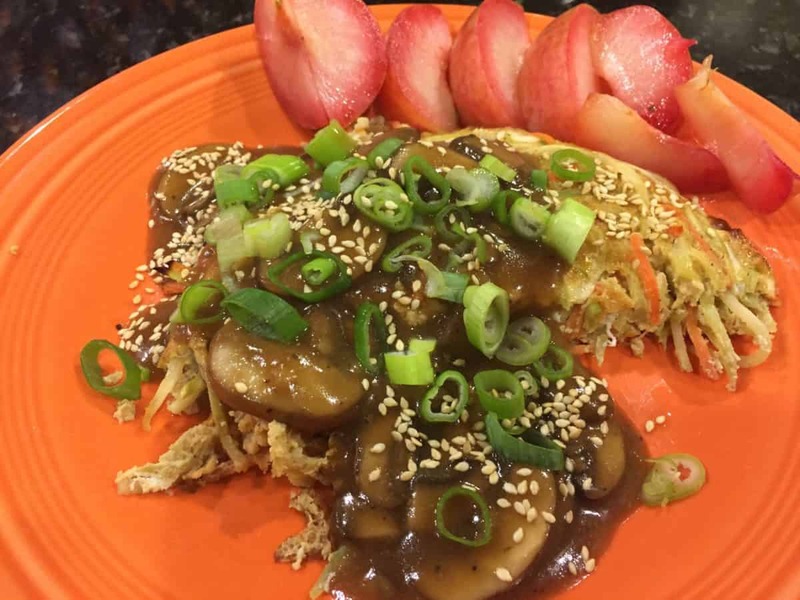 Egg Foo Yung is, basically, an omelette. 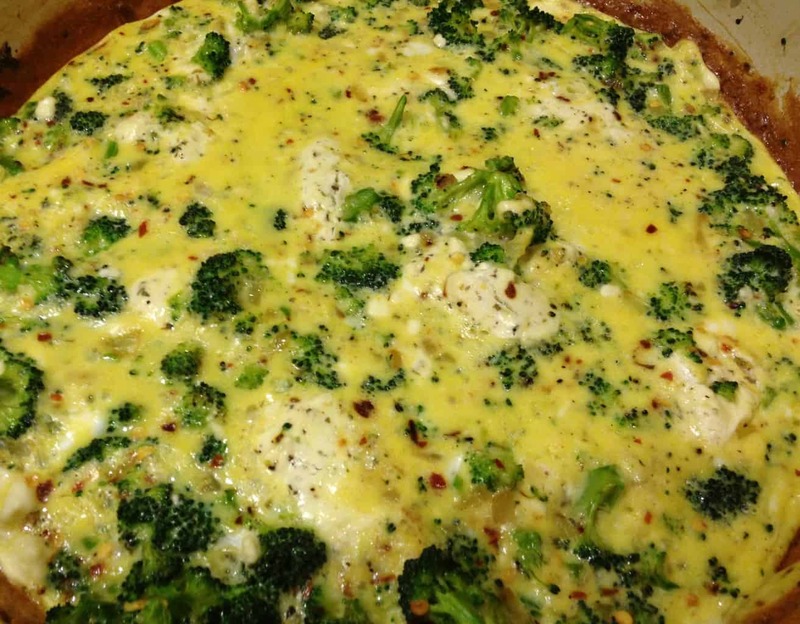 A simple, vegetable-filled, delicious, customizable omelette. For a gluten-free, mostly plant-based athlete, it’s also a great way to get lots of protein after a long run. I have a habit of making breakfast-for-dinner meals on Saturday nights since my body is craving loads of protein, and this gives me that plus lots of veggies. 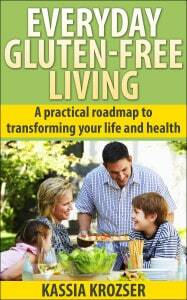 When my husband switched to a lower carb diet, I joined him. Since I’m gluten free, it wasn’t a huge dietary shift for me, and, frankly, it helped me cut back on the rice I’d been using as a crutch since quitting so many other foods. Since this diet modification, I’ve been experimenting with lots more vegetable-based meals. And, we’re eating a lot more eggs. Our household is eating more eggs than ever, and I’m including them in my lunch bag in different ways (hello, frittatas!). Lately, though, I’ve been adding soy sauce eggs into the mix because they’re the perfect mid-afternoon snack. What are soy sauce eggs? Quite simply, they are hard- or soft-boiled eggs that have been peeled and marinated in a soy sauce solution. The marinade penetrates the egg white and adds lots of flavor. I make them in batches of six, though I think I’m going to need to up my game and starting making them by the dozen since the husband is also consuming them. He likes having a low calorie, low carb option at the ready. These eggs are, of course, delicious on their own. 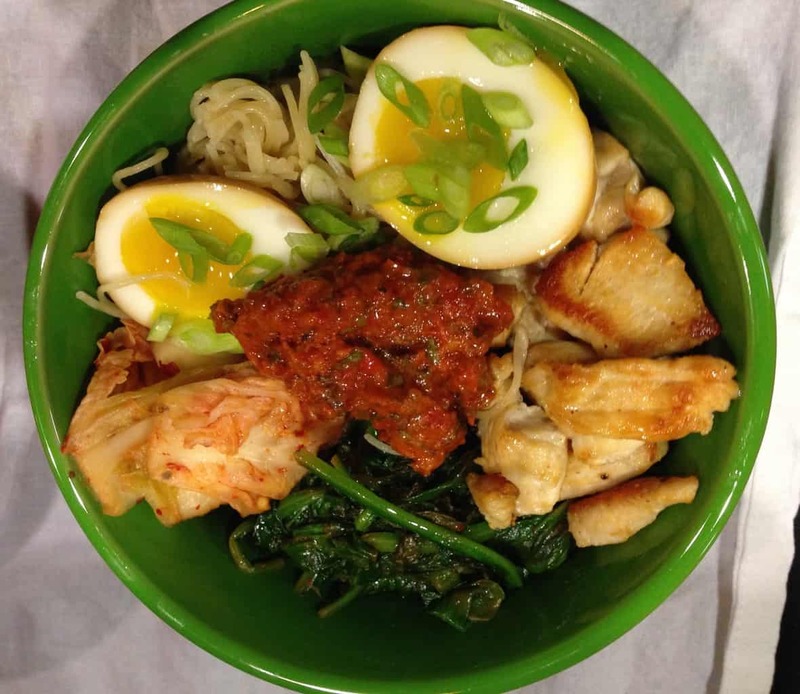 I also use them when making my versions of bibimbap or ramen. Add them as a topping to stir fries or fried rice. Or anything. Seriously. Anything. I don’t know what your schedule is like, but mine definitely needs a lot more room for free time. Even those days when I am particularly virtuous and get up at five to exercise seem like they don’t have enough hours. By the time I get home from work at night, there aren’t many hours until I’m supposed to hit the sack. One trick I’ve mastered is making fast meals. As I’ve mentioned before, so often, going out to eat feels like a huge burden — if it’s a new place, I have to determine which menu items fit into my gluten-free diet; if it’s a familiar place, the foods I can eat lead to a repetitive (and sometimes boring) dining experience. Cooking at home lets me explore the variety of foods I love. 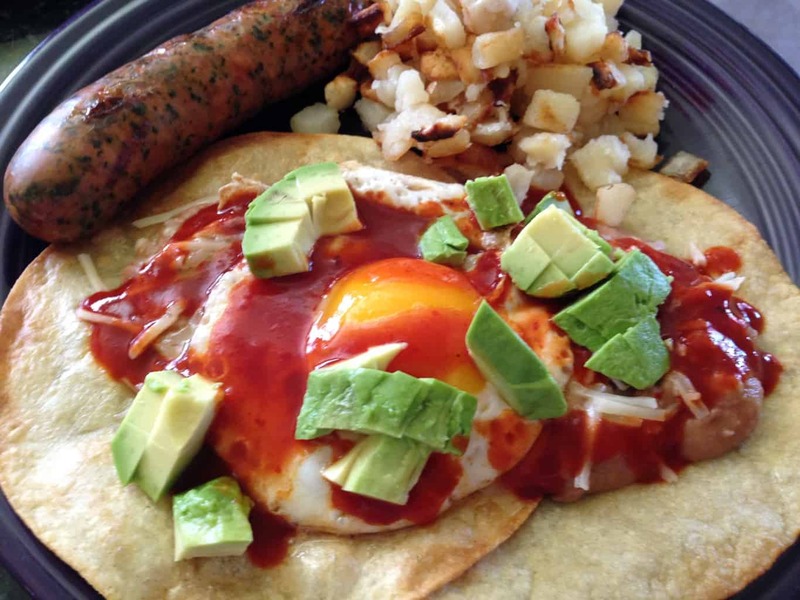 Let’s get this out of the way first: there is no right way to build Huevos Rancheros. There are, of course, a few basic ingredients — corn tortillas, eggs, ranchero sauce and/or salsa, and beans. After that, it’s all about using your imagination. This, I believe, is what makes Huevos Rancheros perfect for a casual breakfast, a slightly more formal brunch, or a weeknight meal. This recipe comes together fast, so I like to have everything set up and ready to go as soon as the eggs are ready. A good fried egg is one of life’s simple pleasures. And by simple, I mean it takes just a few minutes to get that egg fried. 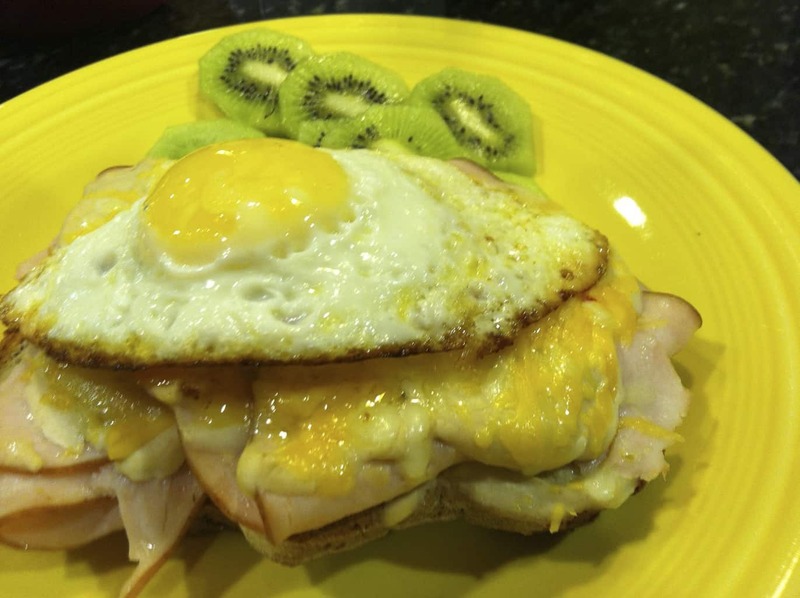 In addition to being tasty on their own, fried eggs are a key part of Huevos Rancheros (or my Quinoa and Black Bean Cakes, prepared like Huevos Rancheros) or Croque-Madames. Fried eggs are also great toppers for burgers or fried rice. When my husband was recovering from knee surgery, I made him a lot of scrambled eggs. I figured protein was important for the healing process. At first, he wondered if they were too much trouble…which was when I realized, no, scrambled eggs are no trouble at all. Yes, they take a few minutes longer than a bowl of cottage cheese, but, trouble? None at all. Eggs are great for gluten-free breakfasts, and good scrambled eggs can be the base for other dishes. 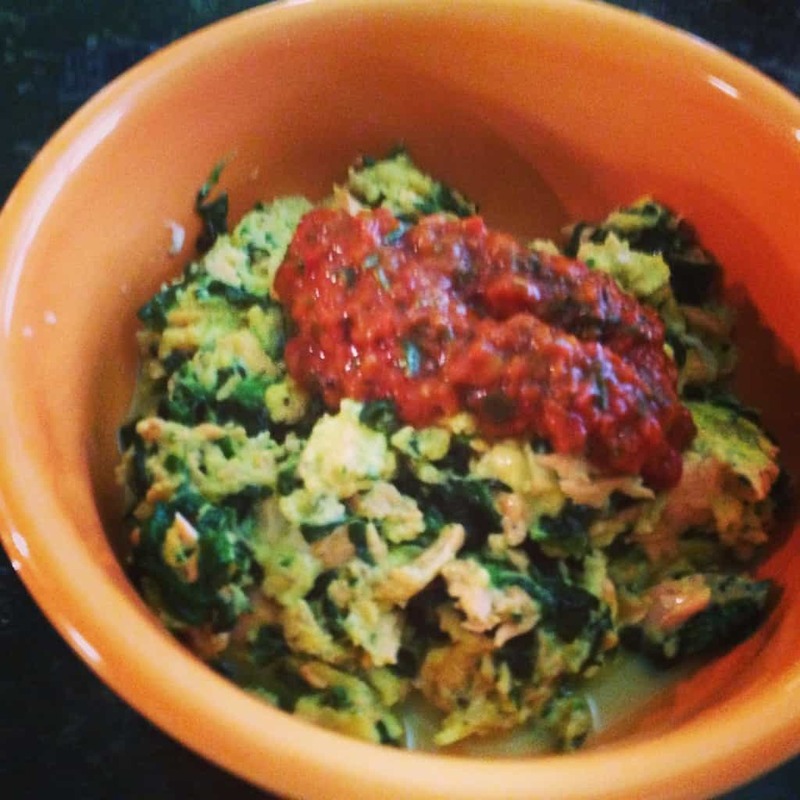 Mix in some cooked and crumbled sausage or diced spinach (or other veggies) to jazz up your basic eggs.